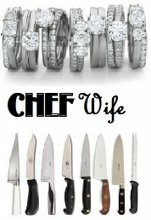 Desperate Chefs' Wives: I OWN the Desperate Chefs' Wives! 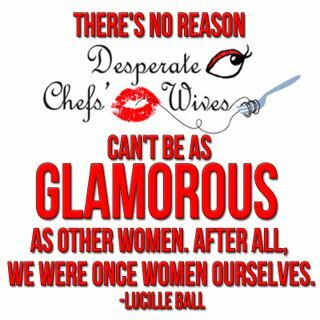 Its official ladies and gents http://www.desperatechefswives.com/ is MINE! I own it and I feel like I truly deserve it. Not becasue of the writing or my sensational sense of humor (ha) but because I spent hours peeling the internet for some sense about setting up my new blog site. Buying the domain was easy, but getting it to link with my old blog site was a NIGHTMARE. Literally, I was screaming and crying last night and for some reason I tried again today and got it to work! Hazah! So yeah, I hate and love computers. Mostly love. Pass the word the DC dubs have got there own spot on the net. 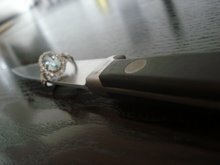 gotta run, the chef and I will be celebrating 2 years of marriage next week and 10 years of dating so he needs a gift! CA misses you and yes i am speaking for the whole entire state. That comment from Shaun means the world to me.